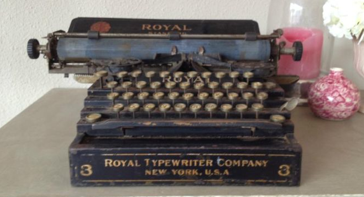 A while back Spider shared an image from the Marktplaats listing for an old Royal Standard 3 flatbed typewriter. That was (and is) an odd number for a Royal flatbed. Not many turn up, not much widely known about the 3 flatbed. Made me notice then a short while back, when just such a Royal Standard 3 showed up in an old photograph in a magazine. In the image it is parked on top of the roll-up desk. Though small it is clearly visible as a Royal Standard 3 flatbed typewriter. 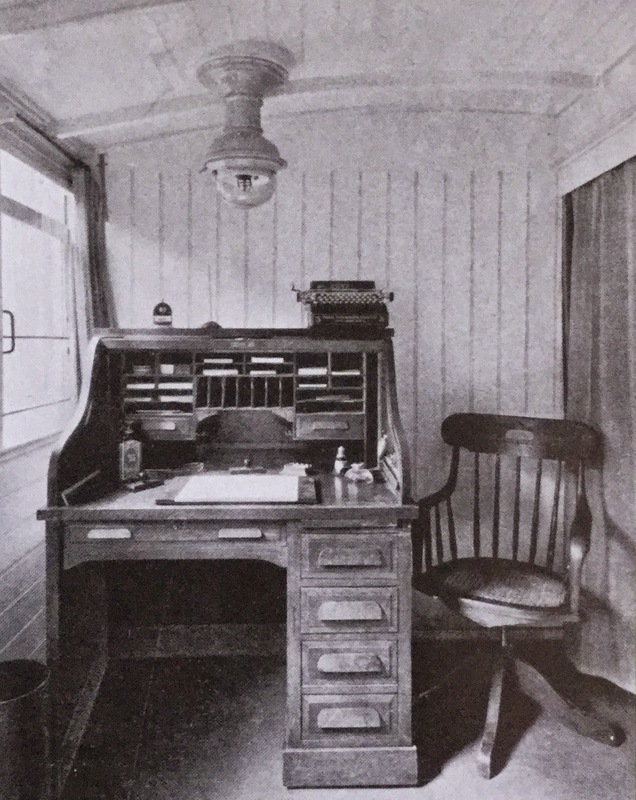 This is a photograph of the head doctor's office in one of the two ambulance trains that were constructed for the Dutch government in 1916. The Netherlands managed to stay neutral and out of The Great War, but did mobilize and prepare. As part of continuing preparations two 15-car hospital trains were constructed. The trains were paid for by donations organized by a national committee and offered to the government as a gift. 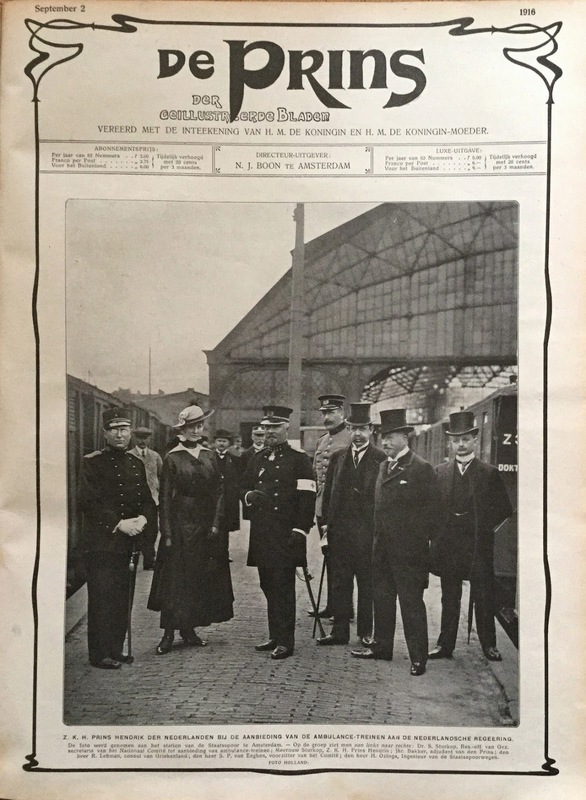 The front-page of the September issue of De Prins shows the handing over ceremony at Amsterdam, with HRH Prince Hendrik, heads of the committee and remarkably the Greek consul present. The trains were kept ready and fully stocked with supplies, but never used. The photograph below shows the trains at the Amsterdam Staatsspoorstation yard at their delivery in 1916. The trains were scrapped already in 1919. They had been intended to be kept at hand also after the war ended to be useful in case of natural disasters, but the cost of their storage and the discovery that they had become 'incomplete' were cited as reasons to scrap. I.e. much of the equipment and supplies had 'gone missing'. Would be interesting to know the history and provenance of the Royal Standard 3 in that listing. Was that perhaps a machine that was 'liberated' from one of the stored hospital trains almost a century ago?